Pieced by Ben, quilted by me. Happy Friday! I post quilts almost every week that have been donated to Covered in Love. 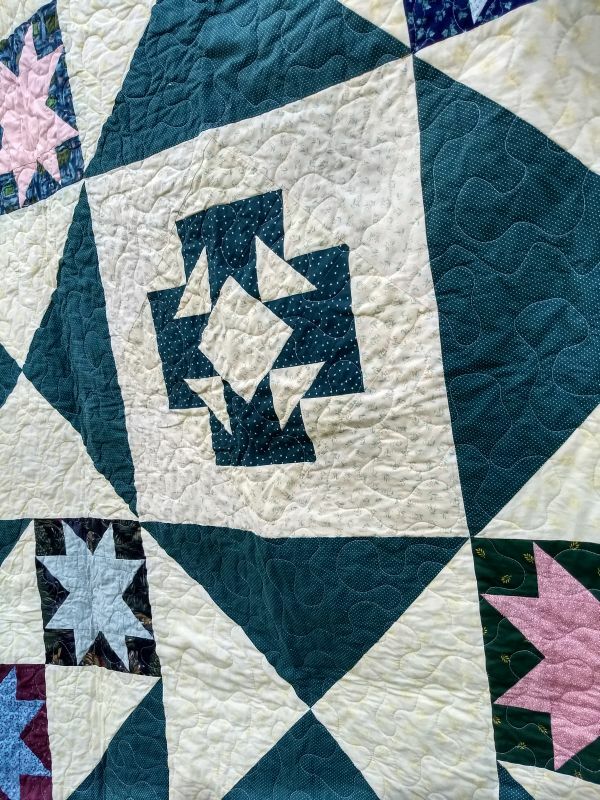 I know most of you are faithful followers who are well aware or what CiL is, but sometimes feel like I need to recap for new readers (Hi new people!). 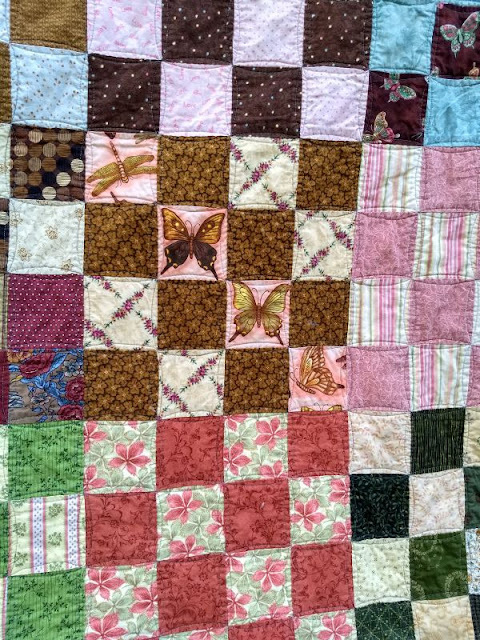 CiL takes donated blocks, tops, and quilts to be given to patients who pass away in the hospital. 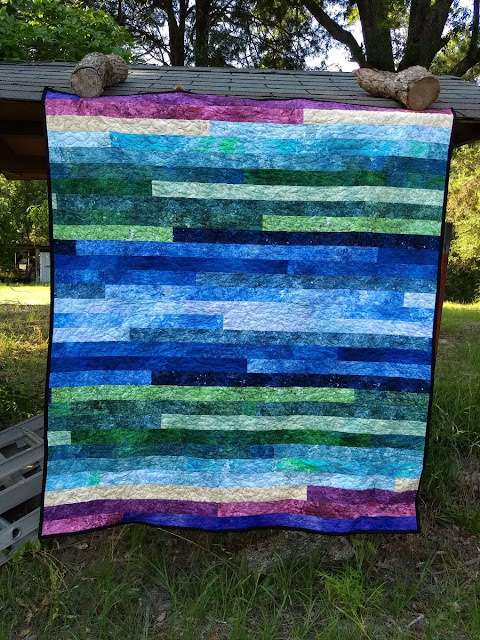 All 3 of the quilts on this post were tops sent in by readers which I quilted. The quilts are distributed by the hospital chaplains when it is apparent a patient is going to pass away and serve as a source of comfort to family members. 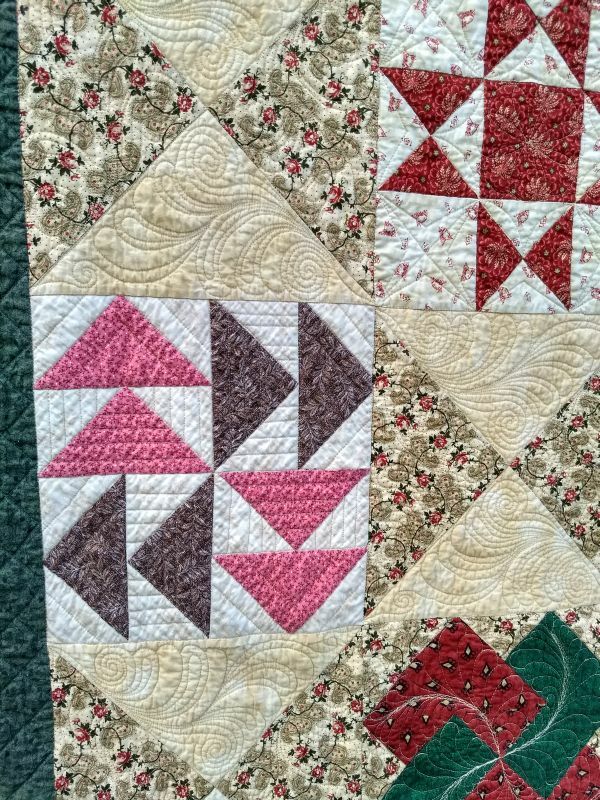 Pieced by Connie, quilted by me. Families making decisions about life support measures are having some of the worst days of their lives. A quilt is a small way to literally wrap them in comfort. CiL has now surpassed 350 quilt delivered! 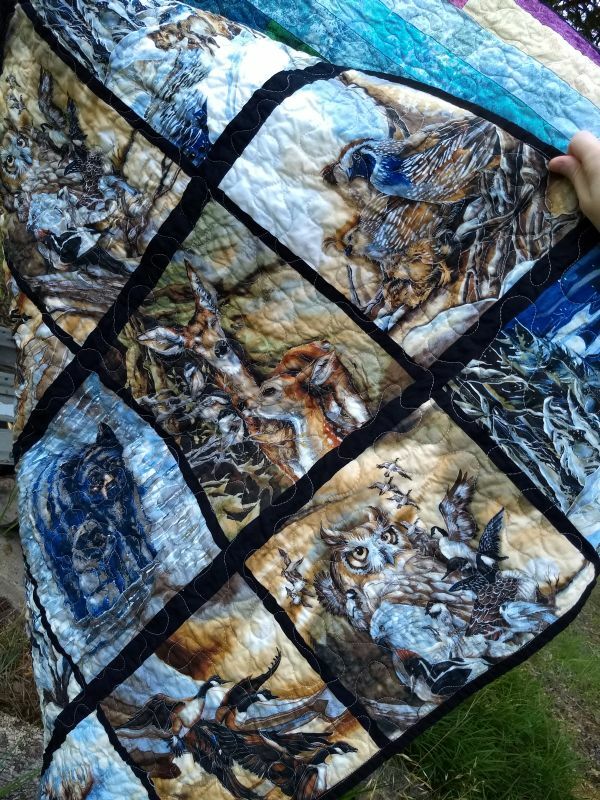 Pieced by Gail, quilted by me. 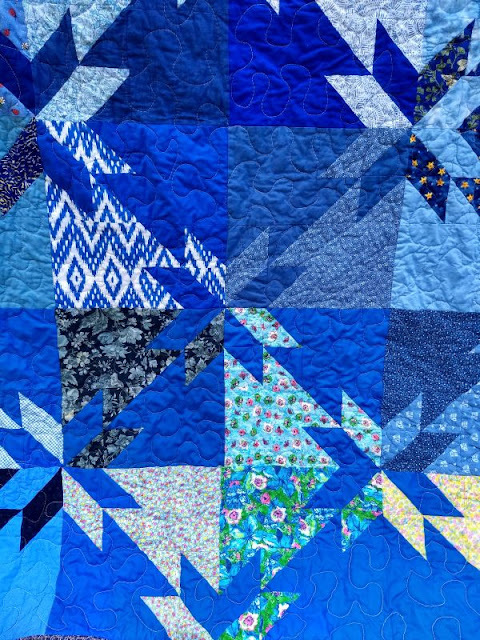 Our recipients are every age, every race, and speaking every language. Prisoners, homeless, and immigrants. Wealthy, celebrities, and heroes. 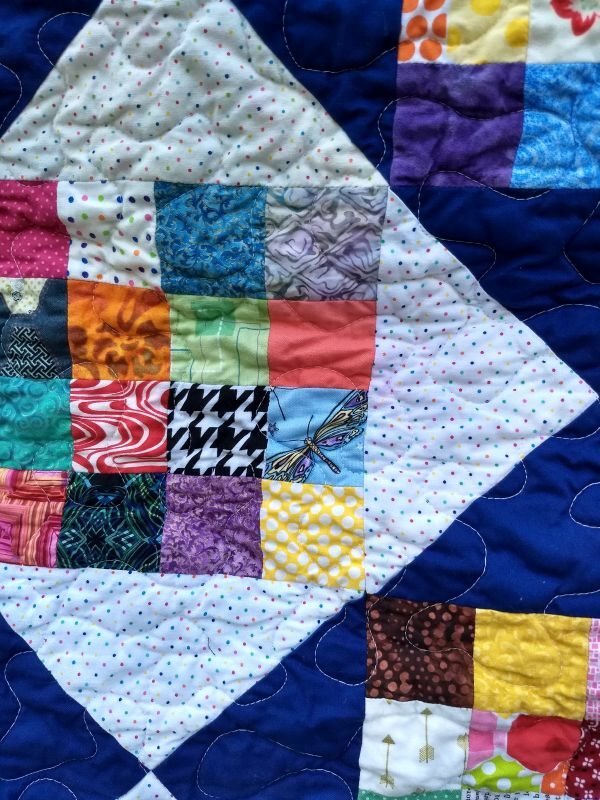 Death and grief make us all equal, and it's amazing how a quilt can cross any cultural divide. 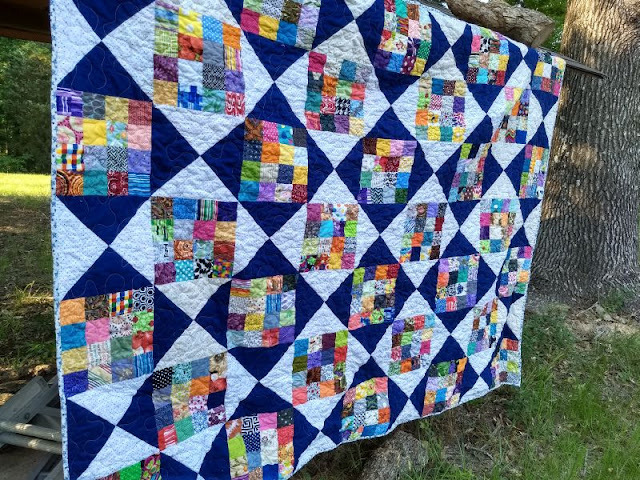 Covered in Love donates quilts to patients dying in the hospital, over 300 so far! 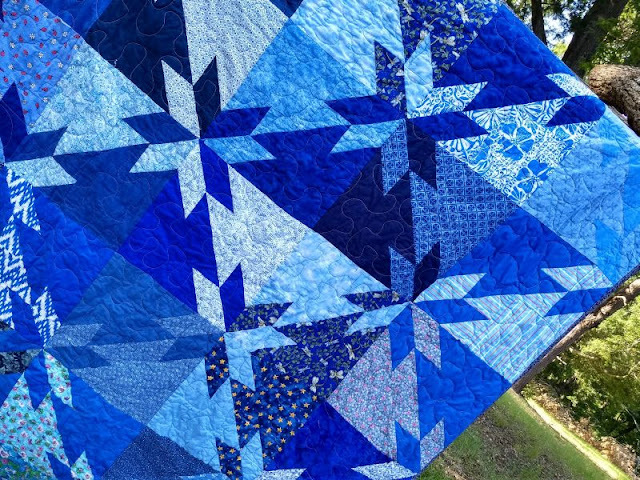 Our block drives are back on track and July/August is the annual "Oh My Stars!" drive. 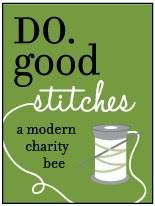 Check out the main post HERE if you want to get involved. Happy weekend! Hope yours is going to be a fun one. 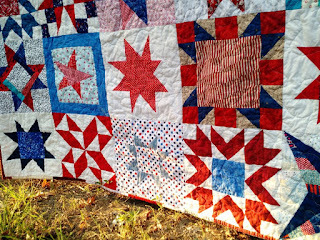 I am doing a round up of all the quilts that have come in already finished for Covered in Love recently. These free-to-me quilts that don't require any work beyond a label are such a blessing! First up are 3 quilts beautifully quilted by Judy. 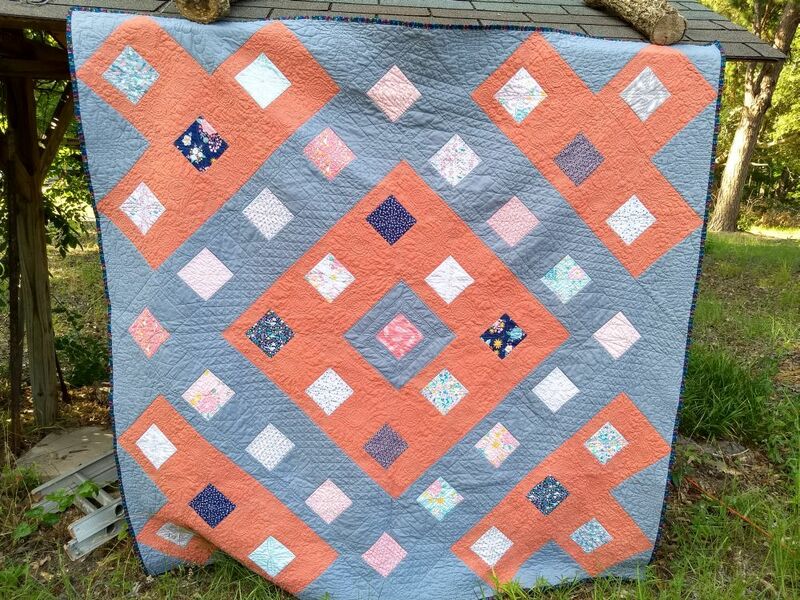 The orange and grey quilt was one of her tops, the other two were ones donated to me that I sent to her to finish. 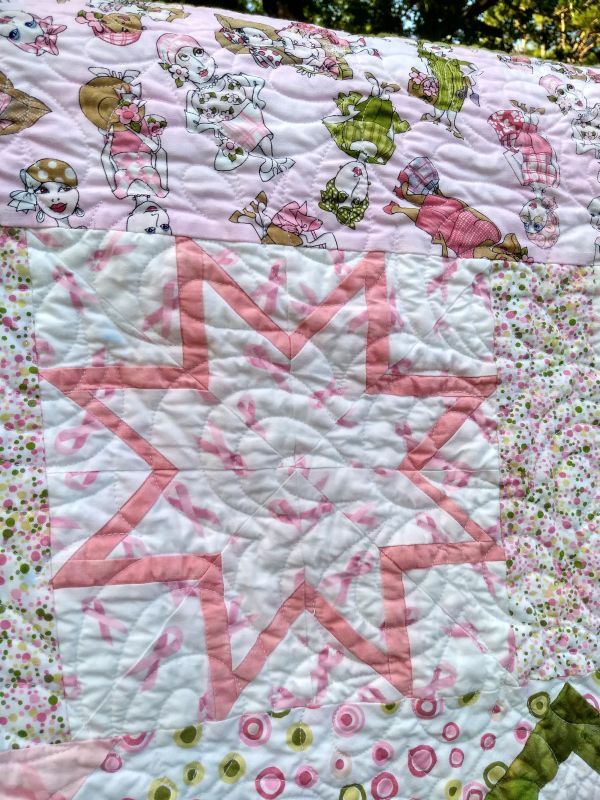 This hand pieced 16 patch was sent in by Sandra, who frequently donates backing fabrics. Judy finished it beautifully with orange peel quilting. 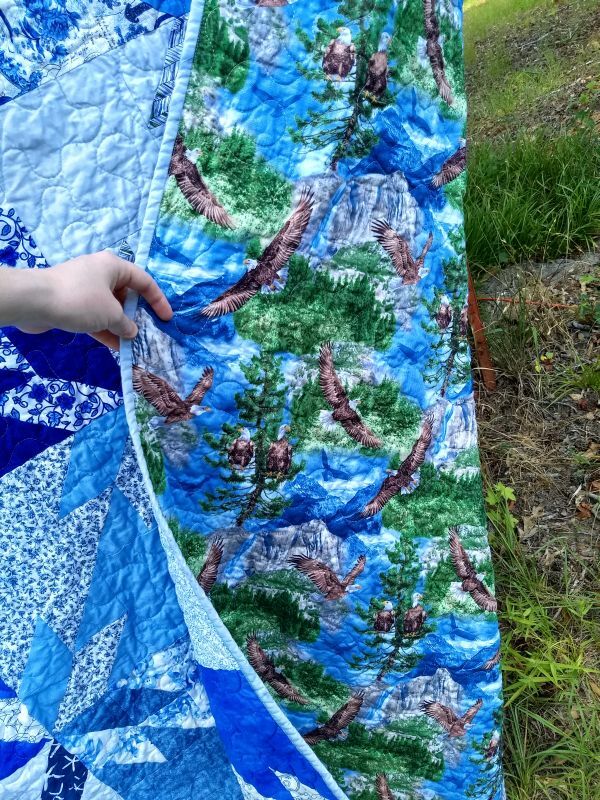 I got to see a couple of our quilts go to their forever homes a couple weeks ago in the hospital. They are a huge comfort to families on some of the worst days of their lives. This top is the last of the ones Theresa sent me last Fall. 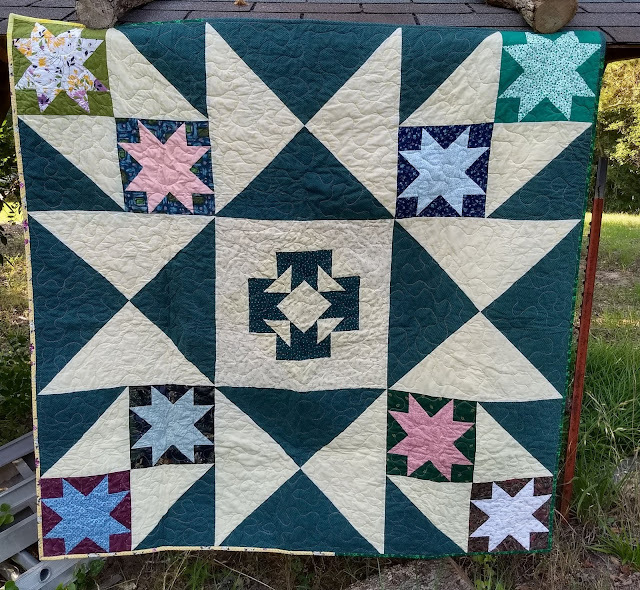 Judy's FMQ turned it into a real showpiece. 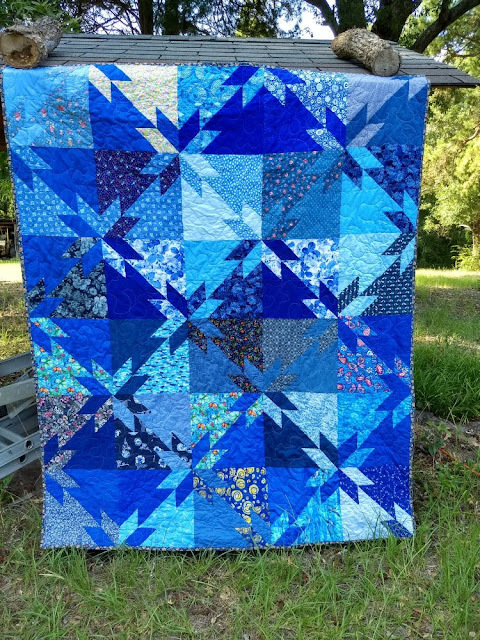 Can you believe she does all this one a regular domestic machine?! 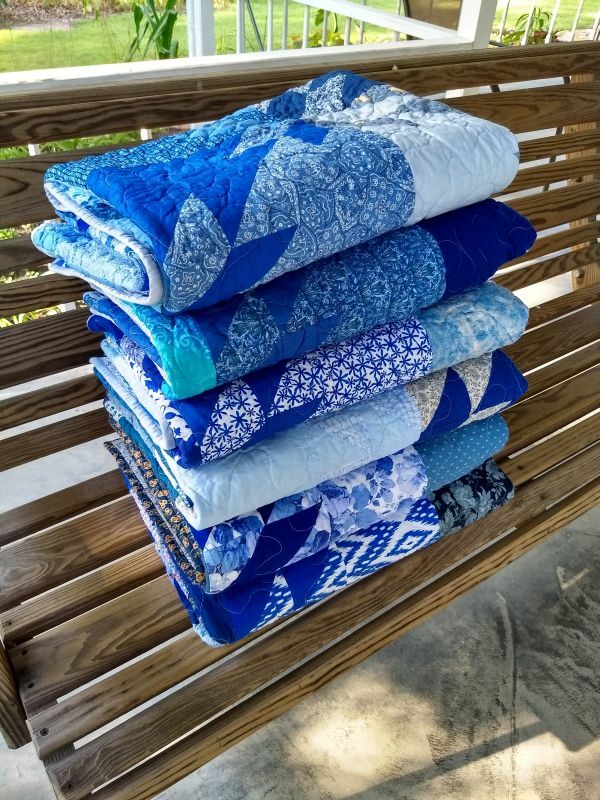 Beth from Vermont contacted me a while back to ask about donating some quilts. 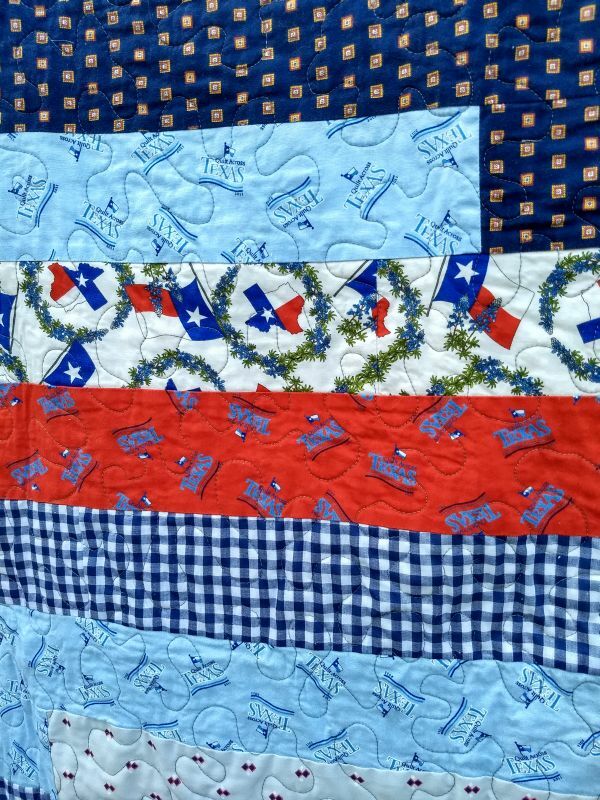 She had randomly inherited quilt a bit of fabric from an old Texas Shop-Hop. Not so useful in Vermont! After donating a couple quilts to Hurricane Harvey victims she was looking for a good opportunity to put the rest to good use. 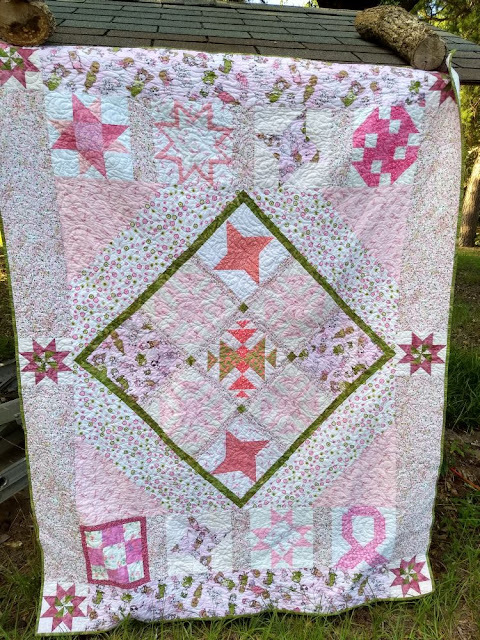 She generously sent in 2 beautiful finished quilts. 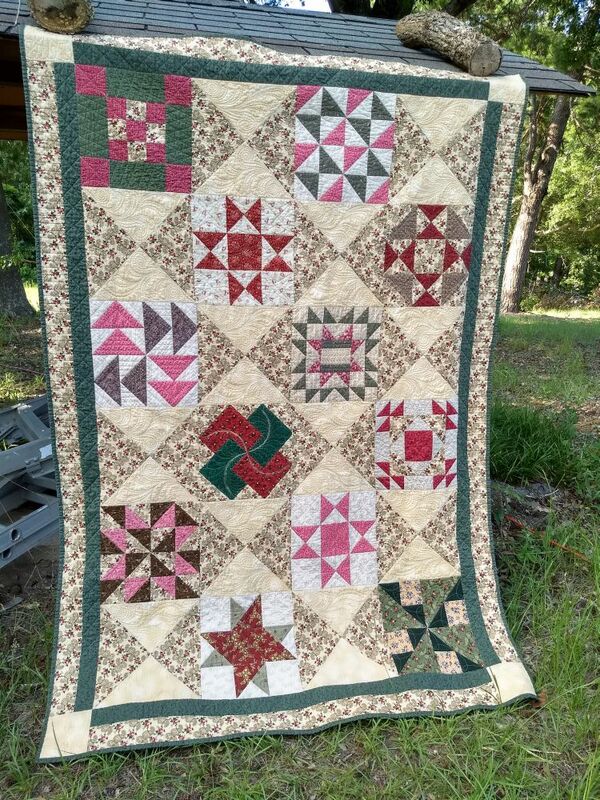 Pieced and quilted by Beth K.
It's hard to make out in the pictures, but almost all the fabrics including the white background have tone-on-tone Texas emblems. As many of you probably know, Texans are just a little bit proud of our state, so these will be perfect to give away. Finally, Marianne sent in this pink breast cancer themed quilt made by the Dakota Cabin Quilters. Thank you Judy, Theresa, Sandra, Beth, Marianne, and many more! These quilts will be a huge blessing to distressed families. Happy Friday! 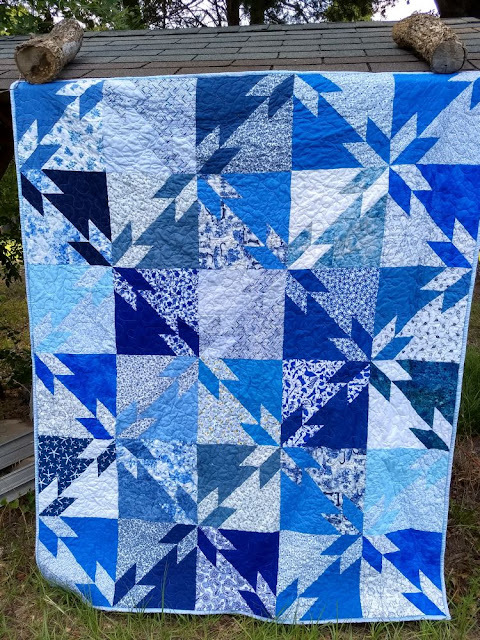 Another week, another scrappy quilt! 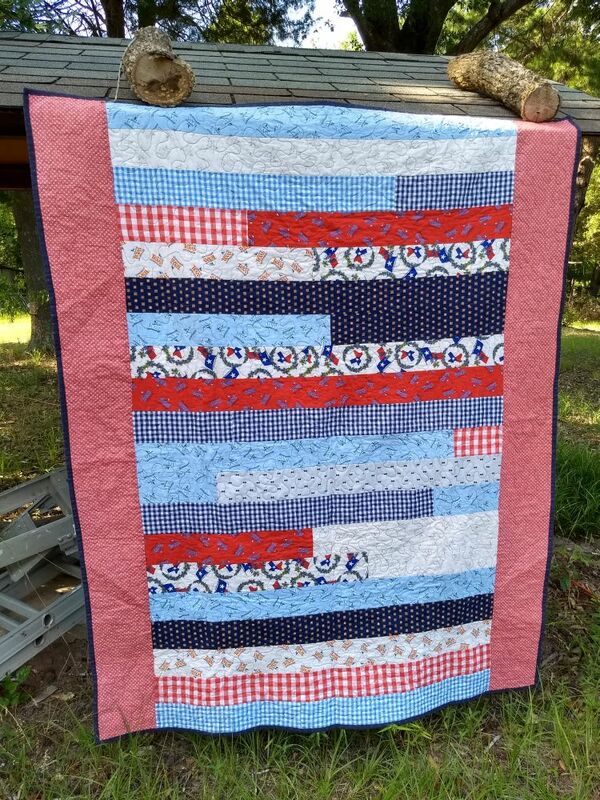 This beautiful scrappy top was sent in by Laura in Tennessee. The blue is actually flannel, which gives the quilt a nice mix of textures. 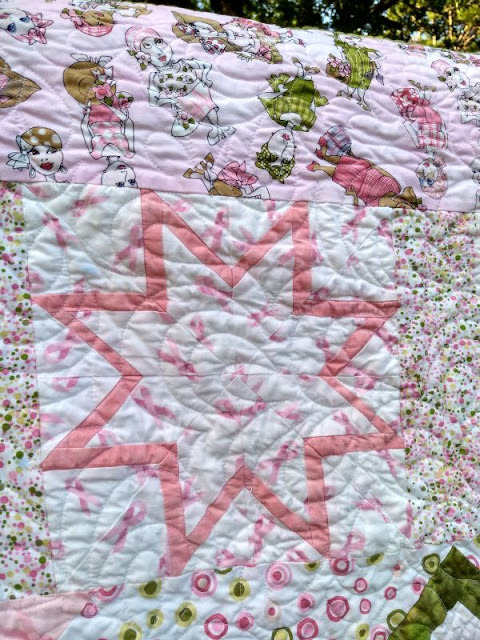 I quilted the top with my usual quick stipple. 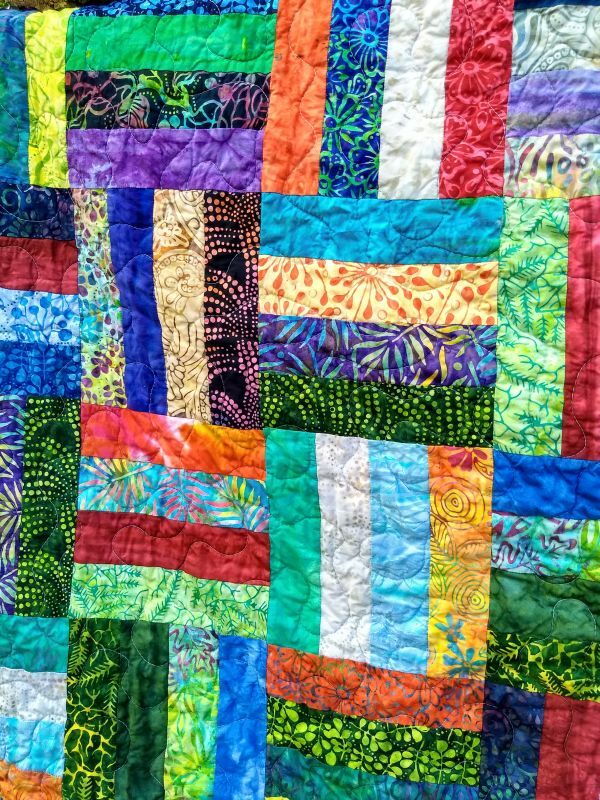 I love how so many scraps can look so cohesive. Spot the backward block? Because I just now did ;) I never fix them. 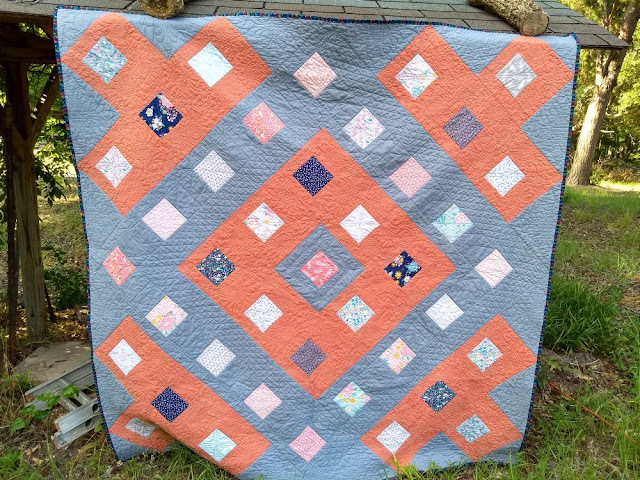 It makes me think of the Amish "Humility Block" which seems to be a myth, but I like the idea. Perfection is overrated. 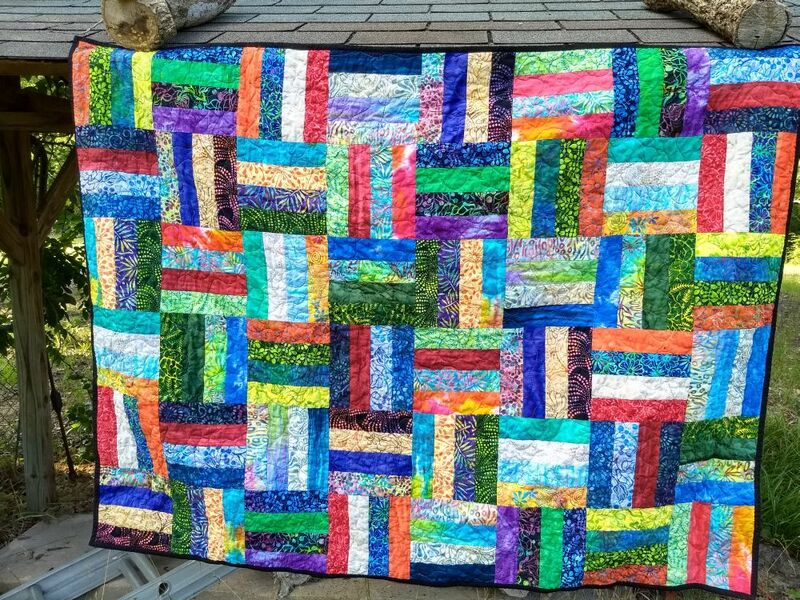 I also have finished this rainbow jelly roll race top that I made a while back. 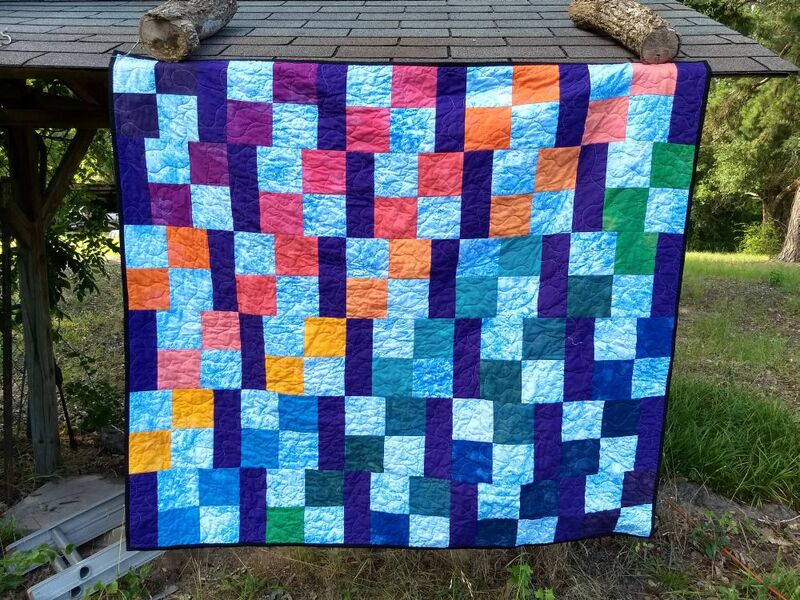 Amanda had donated a roll of Stonehenge fabrics for Covered in Love and I decided on a simple design to show off the beautiful colors. Happy Friday! 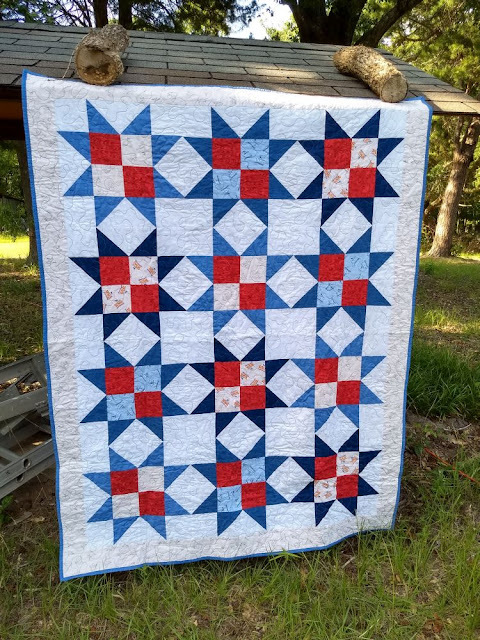 I hope your 4th was fun. I've got 6 cool blue quilts to show this weekend. These are the first 6 quilts to be finished from the Hunter's Star block drive. Back in March/April you guys answered my call for blue Hunter's Star blocks for Covered in Love. 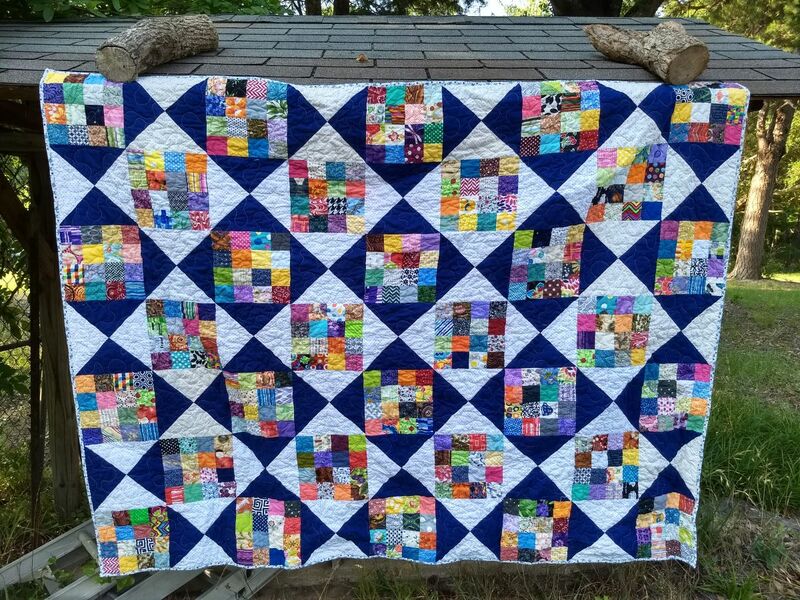 Enough blocks for 15 quilts in all! 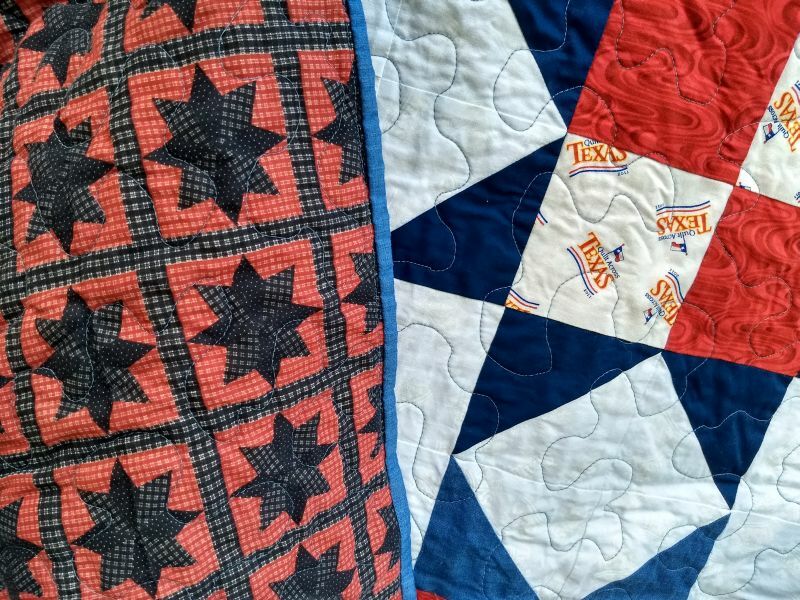 My local quilting angle assembled and quilted these first 3 for me from the donated blocks. 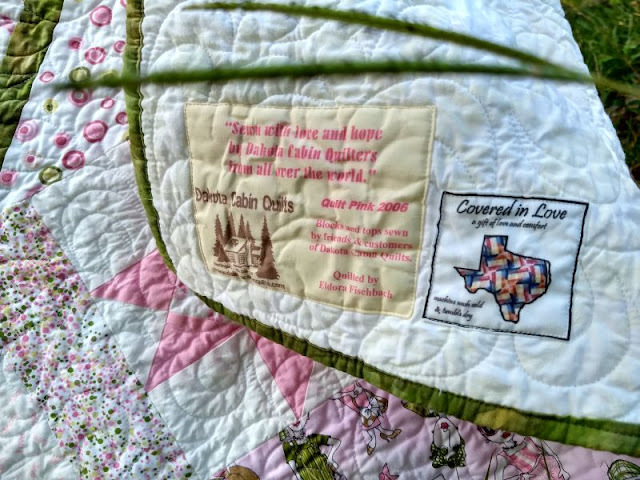 As most of you know, CiL makes quilts for patients dying in the hospital. We recently surpassed 330 quilts donated! 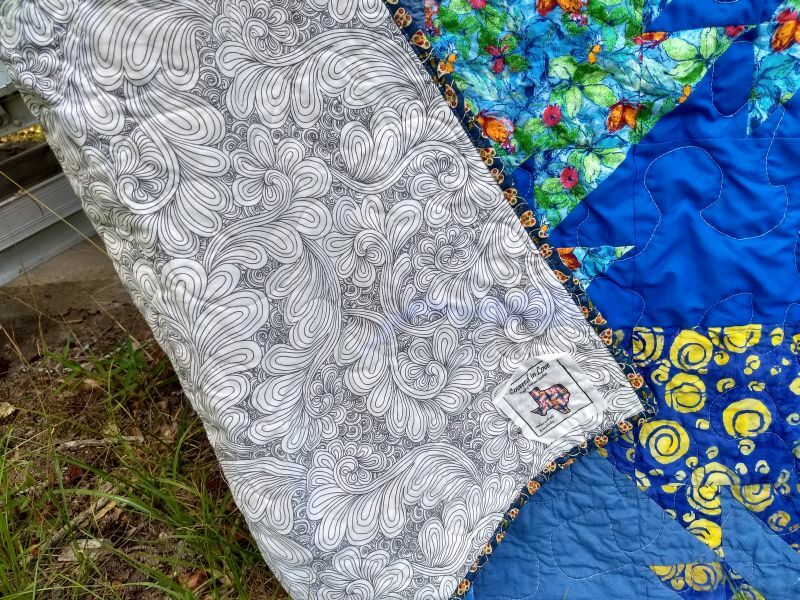 Gail C. had sent in 4 nice grey toned backings with interesting patterns just as I was packing up blocks for Kathy, so 3 of her backings made it on to these quilts. 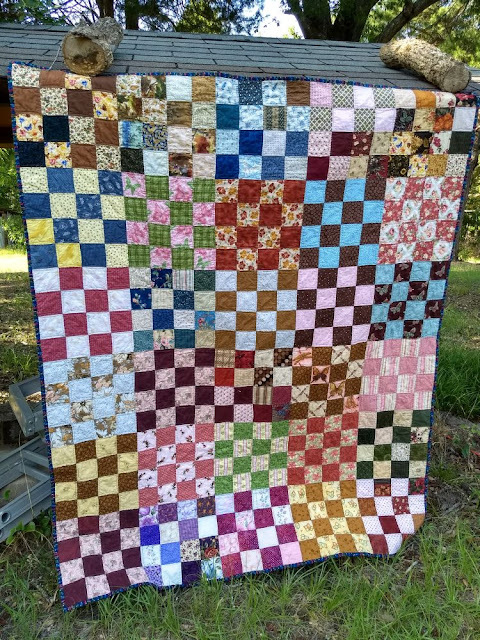 Thanks Gail! This has been one of my favorite block drives in a while. 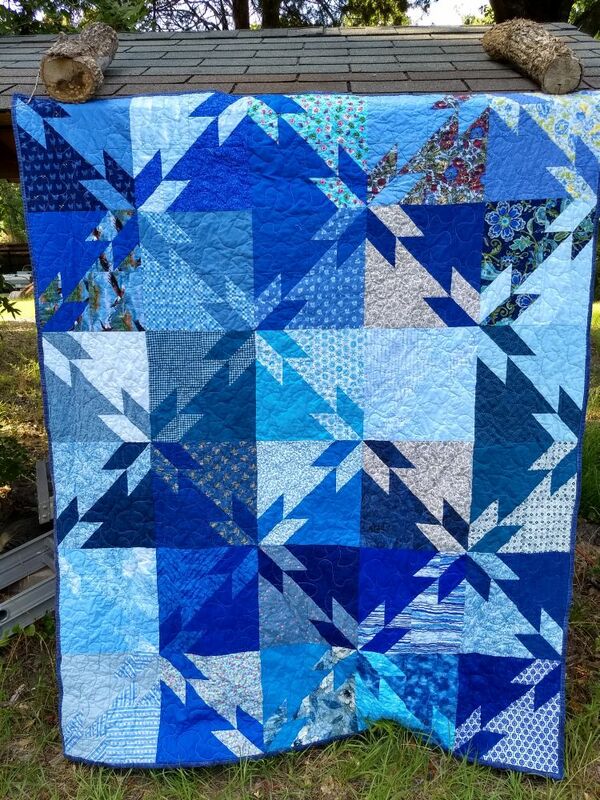 I love how all the shade of blue and all the different fabrics came out. 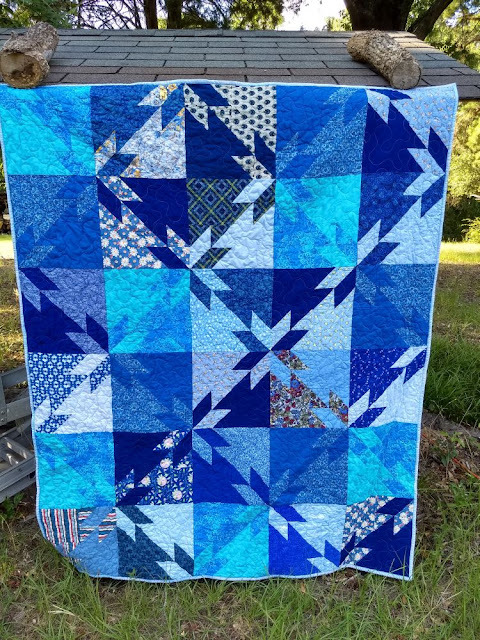 CiL is always especially in need of quilts appropriate for men, so these will be perfect! These last 3 were assembled and quilted by me. I like how the one above looks with all the blue-on-white fabrics. I used more of Sandra's outdoorsy novelty fabrics for the backings, perfect for a man. 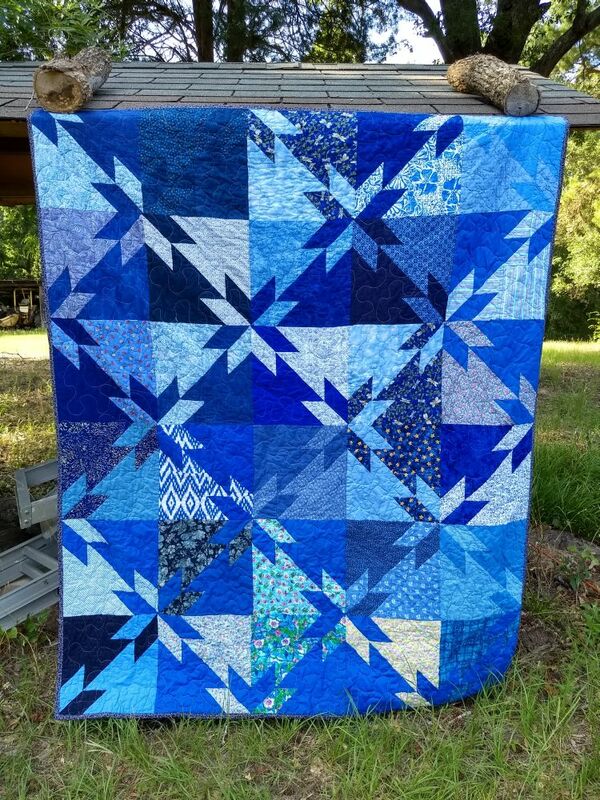 I can't remember if I mentioned on here yet that I bought a new quilting machine? 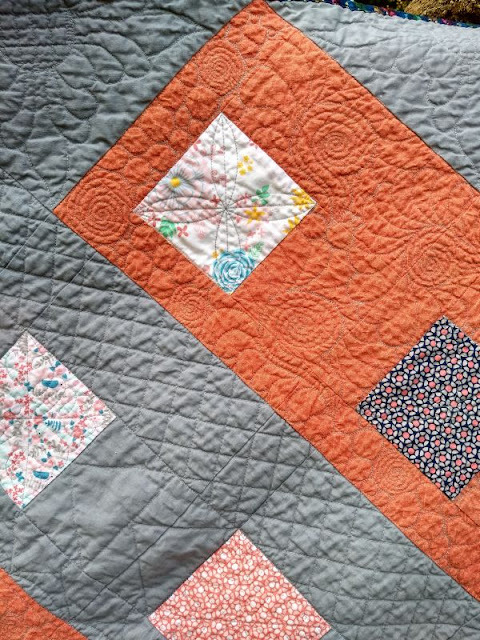 I use a mid-arm machine (similar to a HandiQuilter Sweet 16). 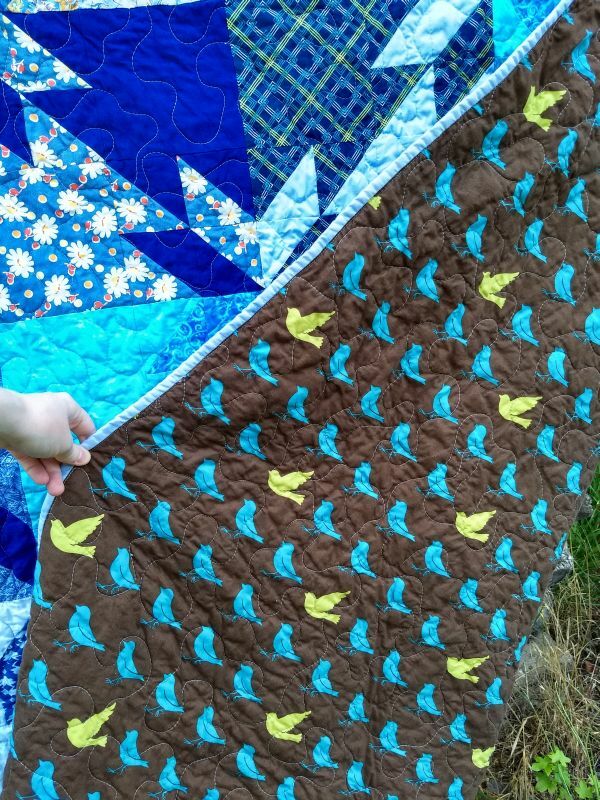 My previous machine was a temperamental hand-me-down from Nancy R. that I grew to love over the past few years. That machine and me quilted well over a hundred, probably a couple hundred, quilts for CiL. Unfortunately my old machine was well past its expiration date and in May it finally crossed to a point where it was not usable anymore. A sad day indeed. 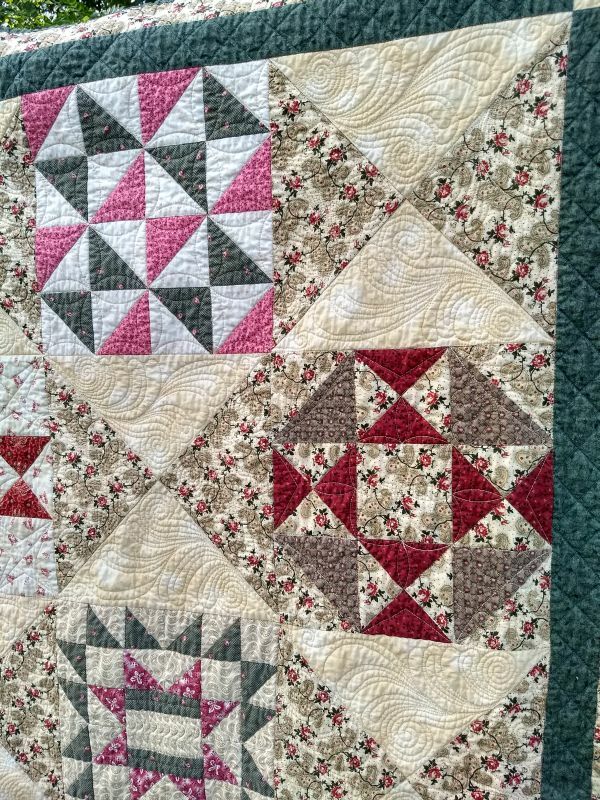 Fortunately another local quilter, Angie, let me come over for a sewing day on her Sweet 16 so I could keep up. 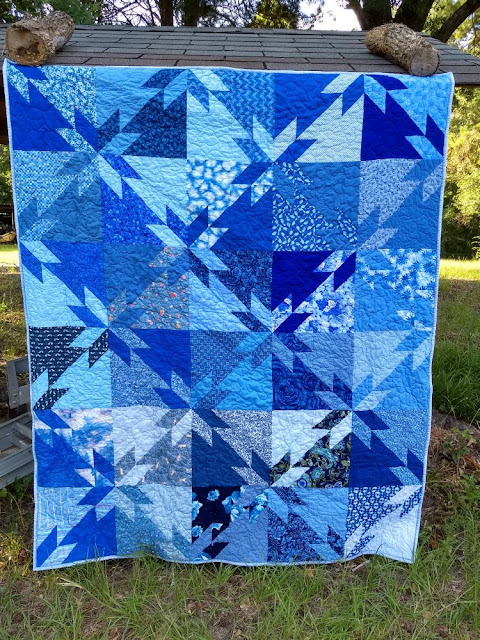 I bought a new mid-arm a few weeks ago, an Artistic Quilter SD-16, and it's so far so good! I love the increase in throat space and it is nice not to have all the idiosyncrasies my old machine had. Thank you to everyone who contributed to this blocks drive! And to Kathy, Angie, Amanda, Sandra, Gail, and others whose donations of time and materials has helped to finish the quilts.